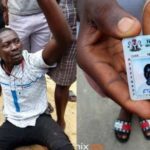 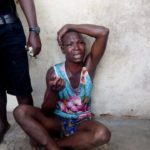 A suspected thief was severely dealt with after he was caught following an operation today in Jikwoyi Phase 2, a suburb in Abuja. 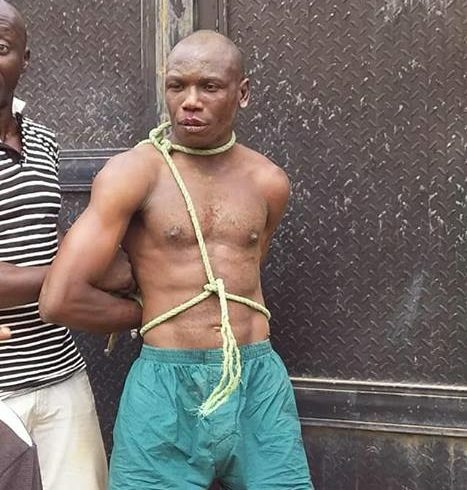 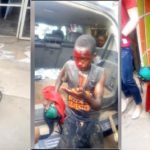 According to Ikay Ogbonna who witnessed the incident, the suspect was nabbed after burgling some houses in the area and was given a hot pursuit by some residents who saw him. 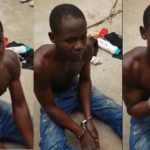 After he was caught, the residents took him to the point of the theft and it was discovered that he burgled some houses – carting away Plasma TV, Generators and other valuables. 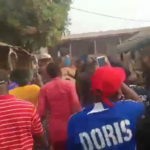 The mob immediately descended on him with various weapons in a bid to serve him jungle justice.